It wasn’t me, I didn’t do it, It won’t happen again!!! This guy looks as innocent as can be. 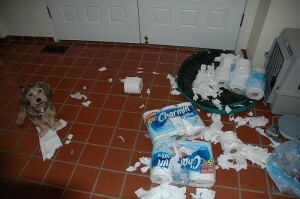 Why is it that dogs seem to love toilet paper?